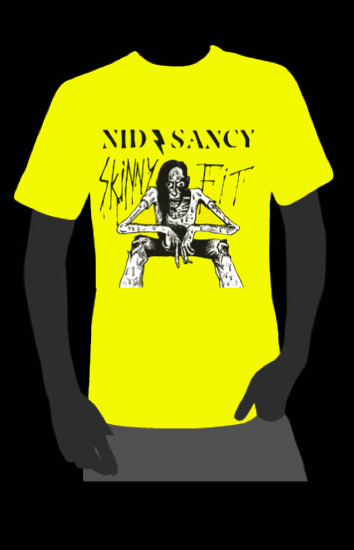 Sorry, NIDϟSANCY - SKINNY FIT 'RANDY' SHIRT (SOLD OUT) is out of stock. The one you actually need two of. One to wear and one to treasure as a collectors item. The original 'R.A.N.D.Y.' - ϟKINNY FIT shirt. As Seen On Radio Soulwax ' Under The Covers Vol 3'. Artwork by Sling aka the beast that rolled the drums with Soulwax and spins the records as One Man Party. This T-Shirt is a high quality waterbased paint printed on organic sustainable material. Continental clothing/ Earth positive and Fair Wear Foundation certified.